The standard of care for many years has been the use of mercury based amalgam fillings. 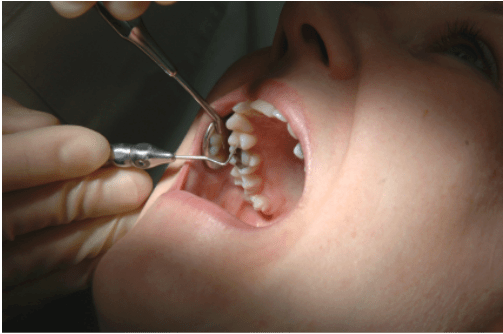 The ADA (American Dental Association) states that they are safe…but are they? Researchers out of University of Georgia have now definitively shown the contrary in a recent published study. Having multiple “silver” fillings can possibly cause toxic levels of mercury in blood and recent research found that adults with more than eight fillings had 150 percent more mercury in their blood than those without fillings. Mercury exposure can be quite dangerous to someone’s health. There are many ways of getting mercury exposure such as through eating fish or exposure at certain careers. A recent study has shown that the danger is greatly increased in patients with eight or more dental fillings. Increased blood mercury levels have always been suspected with amalgam fillings but now we have the science to prove it. High levels of mercury can be toxic; it can possibly cause brain, heart, lung and immune system problems among other things. While mercury exposure from amalgam (“silver”) fillings (which are made up of mercury, tin, silver and other metals) has been a concern in the past, there wasn’t any real solid research performed until now. “This study is trying to provide the most accurate levels of exposure, which will form the scientific basis to make future risk assessment,” says study co-author Xiaozhong (John) Yu. The researchers studied information collected from over 14,000 patients to examine a link between amalgam; also known as silver fillings, and several types of mercury, including blood total mercury, inorganic mercury and methyl mercury. The presence of amalgam fillings was found to increase mercury levels in a patient’s blood, with the levels increasing in conjunction to the number of fillings. Patients with more than eight silver fillings presented with about 150 percent more mercury in their blood. In particular, methyl mercury (the most toxic form of mercury) was found to cause damage even at low levels. “As toxicologists, we know that mercury is poison, but it all depends on the dose. So, if you have one dental filling, maybe it’s OK. But if you have more than eight dental filings, the potential risk for adverse effect is higher,” Yu said. According to a dental health survey conducted in the United Kingdom, 90 percent of adults and two-thirds of young adults ages 16-24 in the UK have at least one filling. On average, adults had seven fillings, with 84 percent of all filled teeth restored with dental amalgam, which has been the go-to material for fillings for more than 150 years. Across the ocean in the United States, the average American has three dental fillings, with a quarter of the population having 11 or more fillings. So now what do you do? Should you quick go to your dentist and have them removed? Well be careful who you go to. Dr. Vladimir Gashinsky DDS is one of only a few doctors who are accredited by the International Academy of Oral Medicine and Toxicology (IAOMT) that follow stringent protocols for safe amalgam removal. “Being mercury free and mercury safe are too different things and don’t be fooled by anyone who advertises mercury free dentistry; it doesn’t mean that they are also mercury safe” says Dr. Gashinsky. The biggest exposure to the mercury vapors is when they are being placed and when they are removed. A mercury free dentist usually doesn’t take precautions to protect the patient during the amalgam removal but does replace it with a mercury free one. Dr. Gashinsky says “The main concern is not just placing mercury free filling; removing the existing mercury filling safely so they are not exposed to the vapors or pieces of amalgam is of utmost importance to the patient’s health”. As an accredited member of the IAOMT, you can rest assured that you will be protected to any mercury exposure at Dr. Gashinsky’s Holistic Dental Center. Anyone can be mercury free, but not everyone can be mercury safe. For more information about Dr Gashinsky and mercury removal please click here and call 973-379-9080 for your complimentary amalgam removal consultation.